All you need in life is balance; haven’t we all received this advice, at one time or another? But, is this sentiment anything more than an endearing platitude? Wake up! Don’t just stand there. The crying sounds of the Shofar shake our complacency. It’s a call to action during the ten-day period, beginning with Rosh Hashanah and ending on Yom Kippur, known as the Days of Awe or the Ten Days of Repentance. 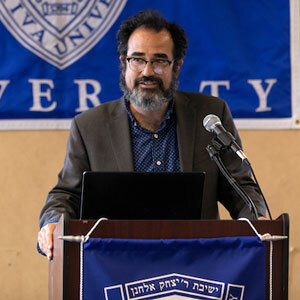 Dr. Ronnie Perelis is the Chief Rabbi Dr. Isaac Abraham and Jelena (Rachel) Alcalay Associate Professor of Sephardic Studies and director of The Rabbi Arthur Schneier Center for International Affairs.